Abbey was vehemently opposed to the idea of having cars—“steaming shells of steel and glass”—driving through the national parks, but whether or not he liked the idea, a ribbon of asphalt was rolled out in Arches anyway, and for a $15 entry fee, visitors can drive right up to their pay-per-night campsites (those are $10 a night). I guess I like my wilderness a bit more on the wild side, but I also want others to have the opportunity to experience the mind-blowing beauty of places like Arches National Park. So I can’t complain that there are now sinks and toilets and other amenities at Arches. I’m thankful for writers like Edward Abbey, however—writers who don’t mind viciously defending the natural world and inspiring others to keep what remains of it intact. 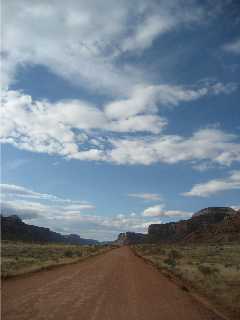 Quotes from Edward Abbey’s Desert Solitaire (1968) and Abbey’s Road (1979).